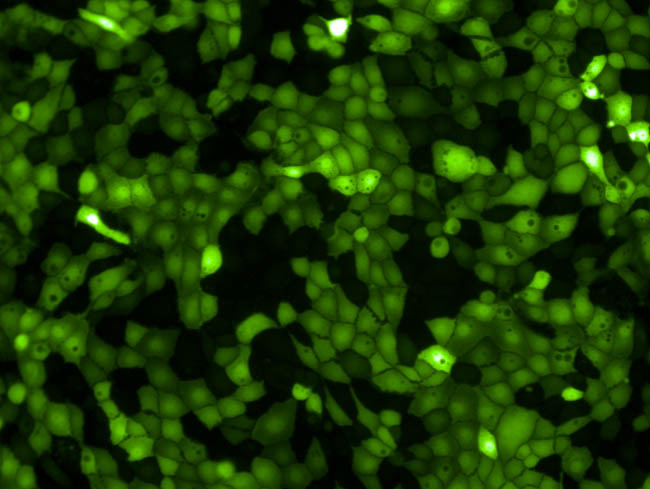 The green probe, which is designed to specifically bind to Zn, is used to detect the Zn secretion when the β-Cells secrete insulin. 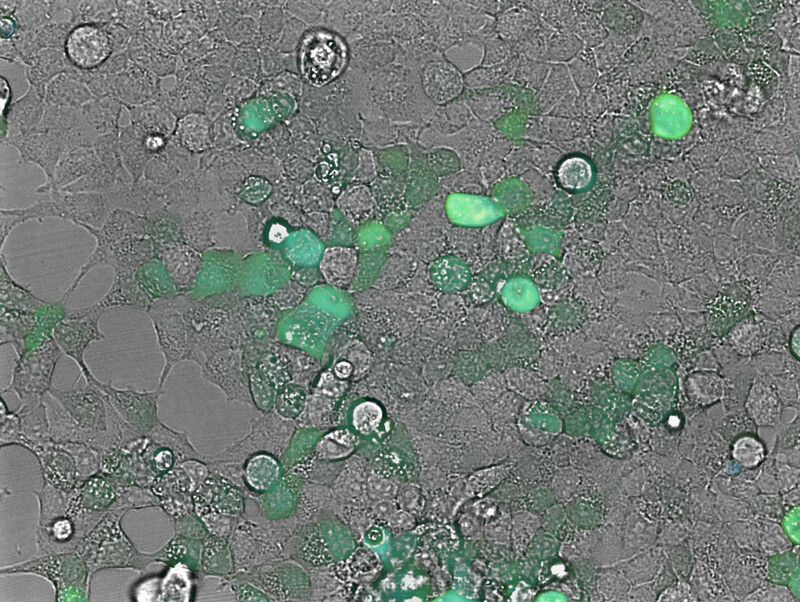 In the photo, the green fluorescence represents the green probe, and the blue fluorescence (HOECHST 33342) represents cells’ nucleus. 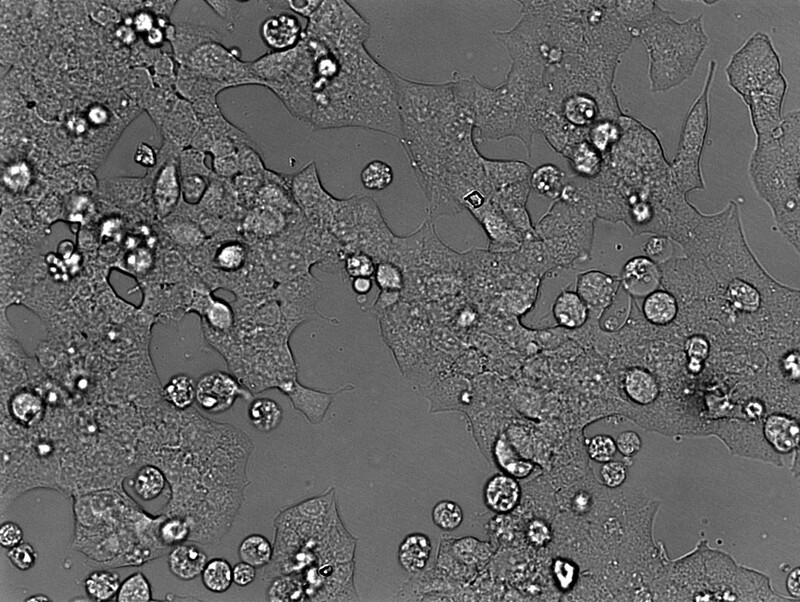 It is the assay to screen for compounds that can inhibit the apoptosis of β-Cells from cytokines which believed to be the cause of diabetes. 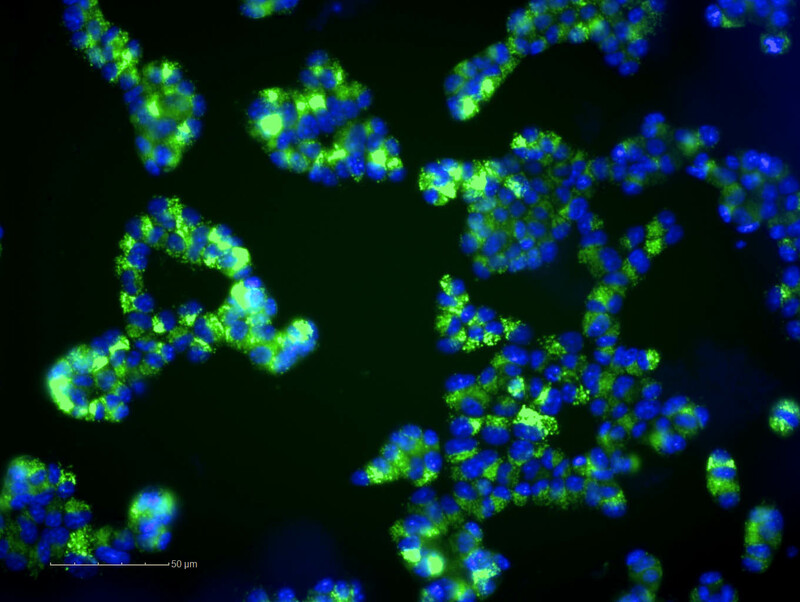 It is the assay to screen for anti-cancer compounds that can inhibit the growth of 3D colon cancer cell lines in Matrigel. 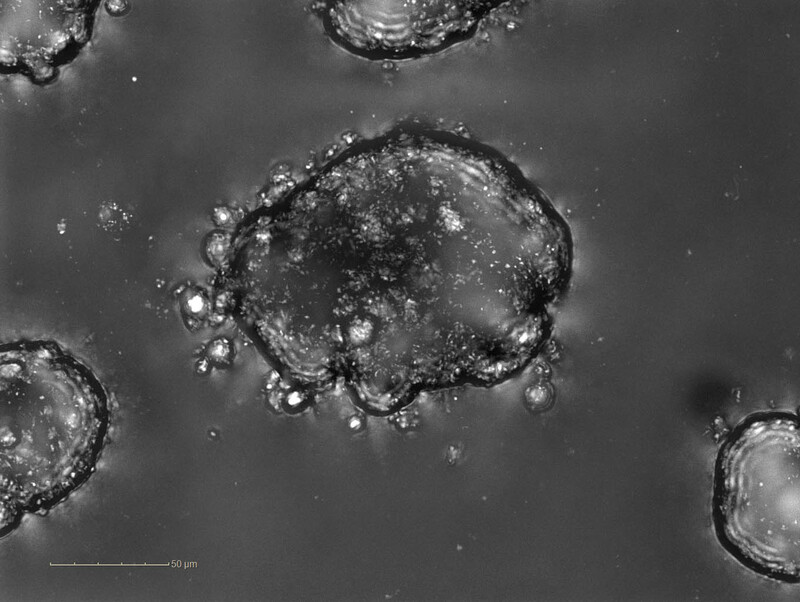 The advantage of using 3D culture is that it mimics the actual cancer cells more than 2D culture. 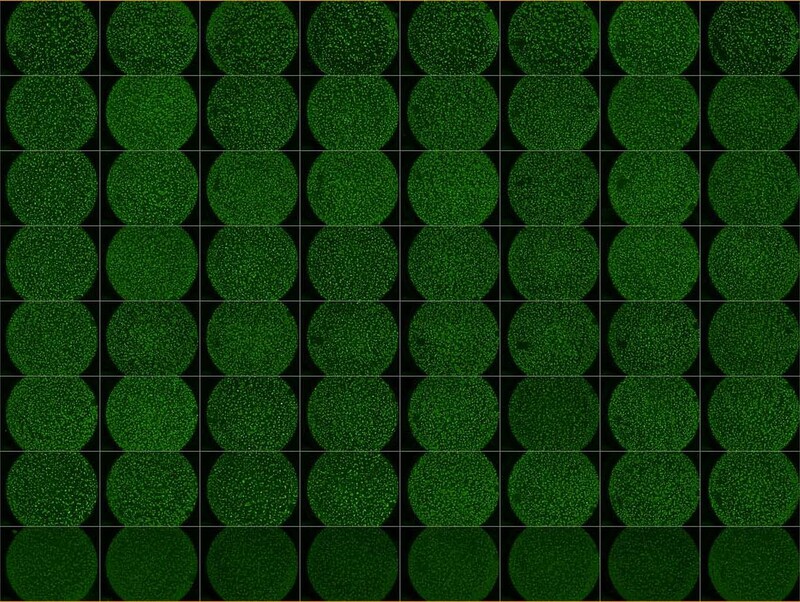 Therefore, screening in 3D Culture will result in more useful hits. 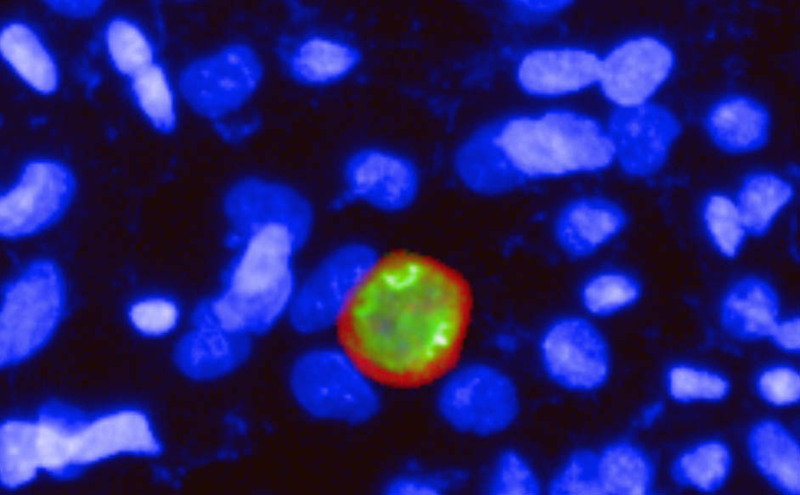 Plasmodium vivax is the type of malaria parasites that can remain in the liver stage as hypnozoites for a long period. 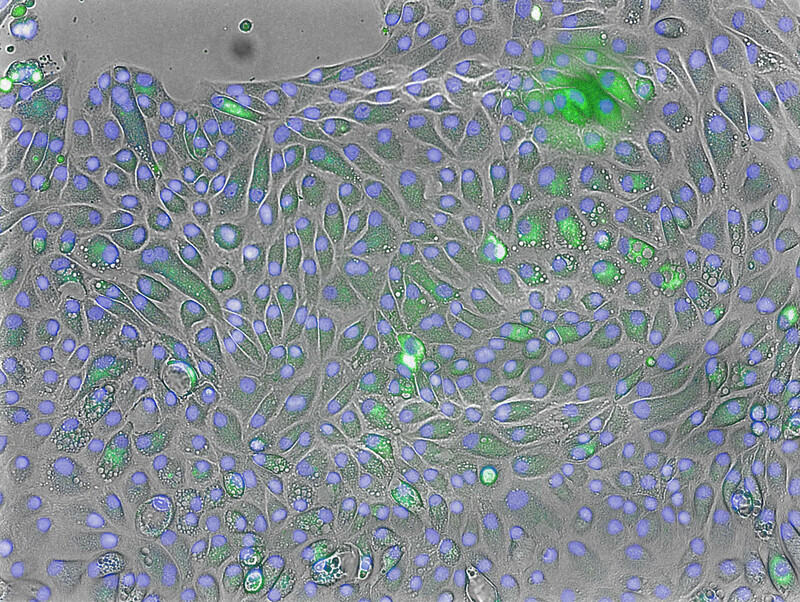 We can screen for anti-malaria drugs that can kill the parasites in the liver stage.